We had a homeowner’s insurance claim last year when our water heater started leaking. As luck would have it, nobody was home at the time, resulting in considerable damage to several walls, cabinets and carpeting before it was discovered and we were able to shut the water off. The insurance company came through, and other than the time and mess involved in getting everything dried out, repaired or replaced, the house is now as good as new. What came as quite a shock, however, was the premium increase for this year due to having the claim. The insurance company almost doubled last year’s rate. We shopped around for a more reasonable rate and did find an alternative. Before committing, I thought it would be a good idea to read the policy information - coverage limits, what’s covered, what’s not and all the special exclusions. Next to doing our taxes, I can’t think of a more fun way to spend an afternoon. The new policy is contained in a 58 page document of rather fine print. Much of it is quite mundane and not very surprising – acts of war are excluded as are losses arising from willful acts of vandalism by the insured, for instance. Some of the triple and quadruple exceptions and negatives were downright hard to follow, however – “We insure against direct physical loss to property described in Coverages A and B except for losses excluded under Section J unless as provided for in E.8. or caused by (1) . . . but it does not apply if you have used reasonable care to . . . ”. By the time I got to paragraph (1), I couldn’t remember what loss this applied to and whether it was or wasn’t covered. Falling objects. “We insure loss to property caused by falling objects, but only include property contained within a building if the roof or outside wall of the building is first damaged by the falling object.” I wonder why they needed to add this clause. If the satellite debris goes through a window rather than a wall, is only the window covered? If a meteorite impacts next to my house and shakes the ground enough to make the pictures fall off the wall, are they not covered? Damage to the falling object. “Damage to the falling object itself is not included.” Don’t expect my insurance to pay for the damage to your plane after you attempt a landing on my roof. Sinkholes. “We do not insure for loss caused by . 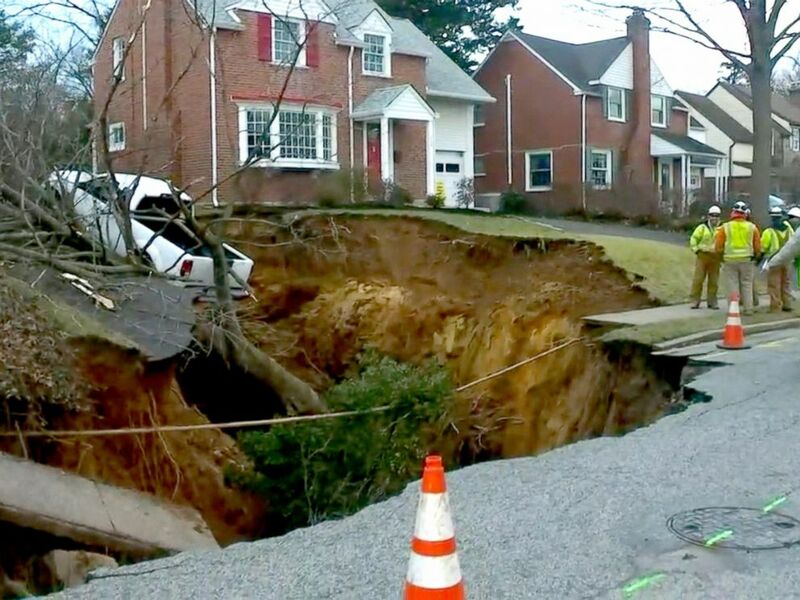 . . subsidence or sinkhole”. I always assumed sinkholes were covered. Flooding. It’s no surprise that we’re not covered for floods, waves, including tidal waves and tsunamis, etc. We’re not likely to have a problem here in the middle of the desert as long as we don’t build in a storm channel or flash flood area. What I didn’t know is that we also aren’t covered for water which backs up through sewers or drains. Falling down or caving in. The policy covers the falling down or caving in of a building unless the building was in danger of falling down or caving in. Hmmm – wouldn’t the very fact that the building fell down mean that it was in danger of falling down just before it did? Vacant. If you leave for vacation or head up to your summer house for more than 60 days, and leave your home vacant, there are several exclusions – vandalism, malicious mischief, window breakage, and theft. Squatting isn’t mentioned. Nuclear detonation. Losses due to the discharge of a nuclear weapon are excluded, even if accidental. And if the warhead actually hits my house – we ain’t paying for the damage to that either. Payment Options. The company provides three payment plans – a One Payment, a Four Payment (Quarterly) and a Ten Month (Monthly) Payment. Normally, the mortgage company pays the premium using the One Payment Plan. If, by good fortune, our house was paid off and we had the option of selecting any of the plans, the latter two would be expensive choices. If the insurance premium was $1000/year for the One Payment, it would cost $1615/year for the Four Payment and $2545/year for the Ten Payment. Ouch! Is that interest or usury? Communicable disease. Bodily injury or property damage which arises out of the transmission of a communicable disease is not covered. I guess it’s entirely plausible to catch a disease from someone and expect their insurance company to pay damages. Nuclear energy liability insurance. Personal liability coverage does not apply to bodily injury or property damage if the insured under this policy is also insured under a nuclear energy liability policy. Why would someone be excluded from personal liability coverage because of a nuclear energy liability policy? Is someone more likely to slip on the ice in my driveway (assuming we had any ice here in Las Vegas) if I carry nuclear energy liability insurance? It only took a few hours to get through it all, and we ended up agreeing to the terms - then I went for a much needed nap before getting back to the taxes.